3 phase power is cheaper to run than 1 phase. Here at HP Electrical Contractor, we are able to upgrade electricity supply to 3 phase power system at you home or work. 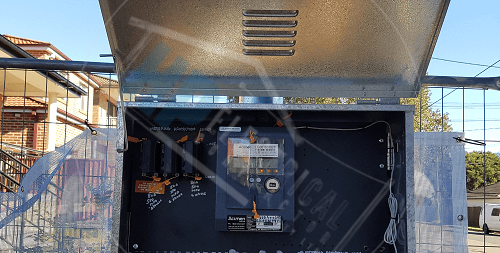 Three phase power is most commonly used in manufacturing and commercial enterprises, but it can also be required to run air conditioners and ovens. It is more flexible form of power and has a higher power density. We are a level 2 certified electrician and we are based in Fairfield East – South Western Sydney. Service home owners and builders in all areas of the Sydney region including Western Sydney, Liverpool, Wetherill Park and Fairfield NSW. We are highly skilled in our profession and are able to provide you with upgrade electricity supply to 3 phase power. Upgrading your system helps to ensure that your equipment runs properly. It is quite common, especially in older homes, to run into a situation where you need 3 phase power. If you have 3 phase equipment and only have a single phase system you need to upgrade electricity supply to phase 3 and we can easily upgrade it for you. Our electricians are able to safely and quickly perform an electrical service upgrade. 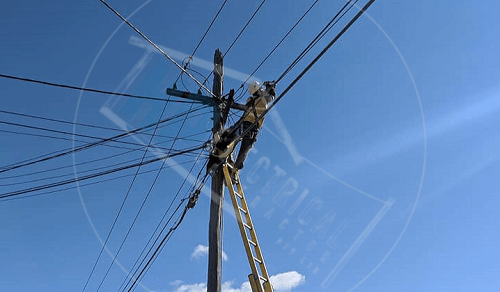 Some jobs can be done in the switchboard while other jobs are a little more complex and need to be done in the switchboard plus consumer mains to the overhead or underground cable. No matter what electrical service upgrade you are interested in, we can manage the job. Once we finish with your upgrade electricity supply to 3 phase we will remove all the rubbish that is left. We will take it away so you won’t have the aggravation of getting rid of it. Your switchboard will also be labelled when we leave. There is no need to have to make any guesses in the future. If your panel happens to have asbestos in it we will remove the panel and replace it safely. Asbestos is a known carcinogenic and is unsafe to be around. Always striving to achieve satisfaction guarantee in everything that we do. We will complete your jobs as if was our own and can finish it in one day. We do not waste time causing you any unnecessary stress or cost. Contact us or Call for a free quote on 0431 720 172. 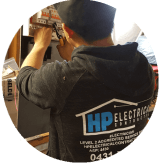 Here at HP Electrical Contractor, we are an accredited service provider level 2 electrician and we can help you upgrade electricity supply to 3 phase.